The latest 99% Invisible is a marvelous exploration of the origin of Kindergarten. It is well worth a listen, particularly for all my friends in education. The first Kindergarten was founded in 1837 by Freidrich Froebel . 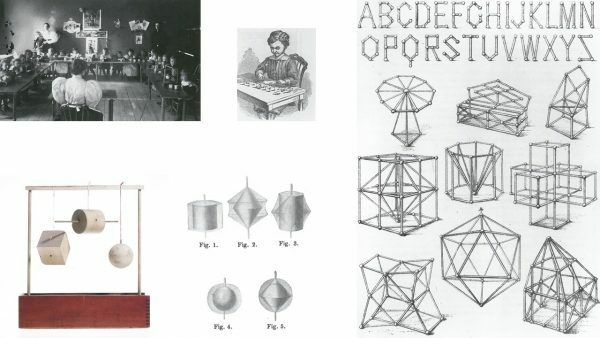 He centered much of his program around a set of manipulatives, starting with blocks and spheres, and progressing to much more complex shapes and combinations. The podcast traces the influence of Kindergarten to the works of modern artists and architects, and even to the modern toy market. I will definitely be looking into his ideas further. In some ways, all modern toy building systems reflect the influence of Froebel. Tinker Toys, Lego, Kinex — they’re all about understanding shape and form and making connections. Yet they also represent a departure from Froebel’s highly-organized and linear approach. These days, building toys are viewed more broadly as tools of the imagination — objects kids can use to assemble houses and castles and cities together, learning collaboration and creativity through construction.